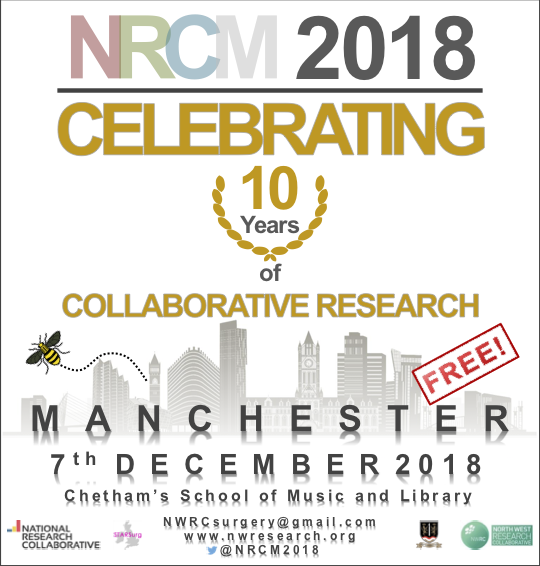 As you may already know, the National Research Collaborative Meeting 2018 will be held on the 7th of December in Manchester. We have secured some very impressive surroundings at Chetham’s School of Music and Library and are in the process of putting together an exciting programme with multiple parallel multidisciplinary breakout sessions. We have also opened our abstract submission system with three categories, written abstracts for oral presentation, visual abstracts with twitter analytics culminating in a Top of the Tweet session at NRCM2018 and a student abstract category. The link to abstract submission is: https://goo.gl/forms/Ac1FsFrbgJ2qZnYf1. Deadlines for submission is the 16th of July. We really hope you will get involved and we will see you in Manchester on the 7th of December.